When Capcom first announced they were rebooting the Devil May Cry series with Ninja Theory, a Western developer, diehard fans cried foul. The results were impressive though, even with the rather bizarre redesign of the main character. 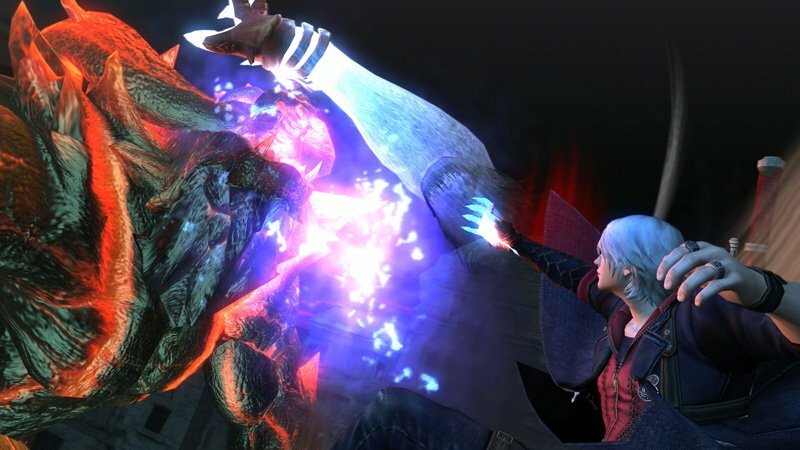 To really understand why the series needed a fresh lease on life, gamers needn’t look any further than Devil May Cry 4. 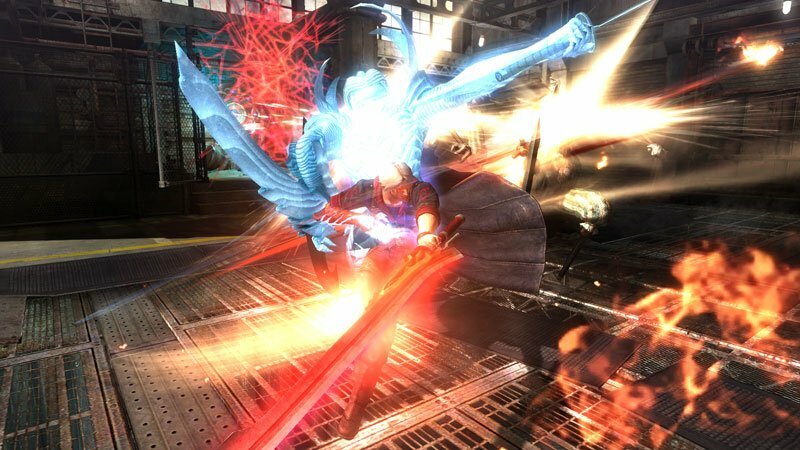 Given the relative success of the new-gen port of the rebooted DMC, Capcom is taking a chance on nostalgia with Devil May Cry 4 Special Edition. 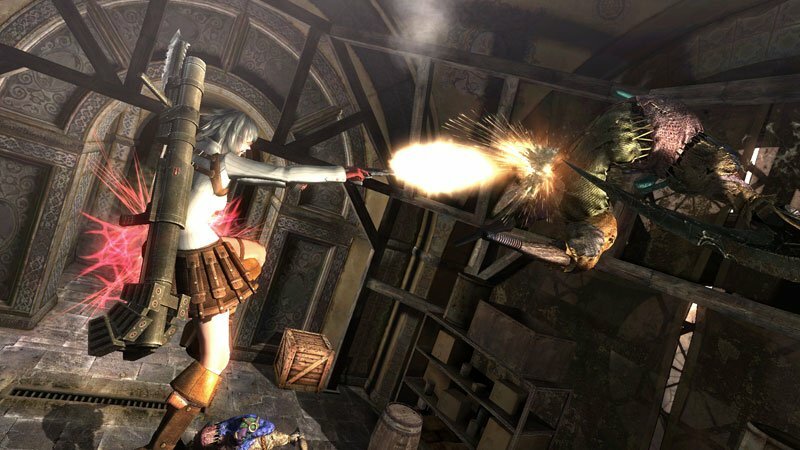 First released in 2008, DMC4 is mostly remembered as having an exceedingly long install time on previous console generations, but also as the death knell of the long-running series. It’s the quintessential example of everything wrong with Japanese game development. 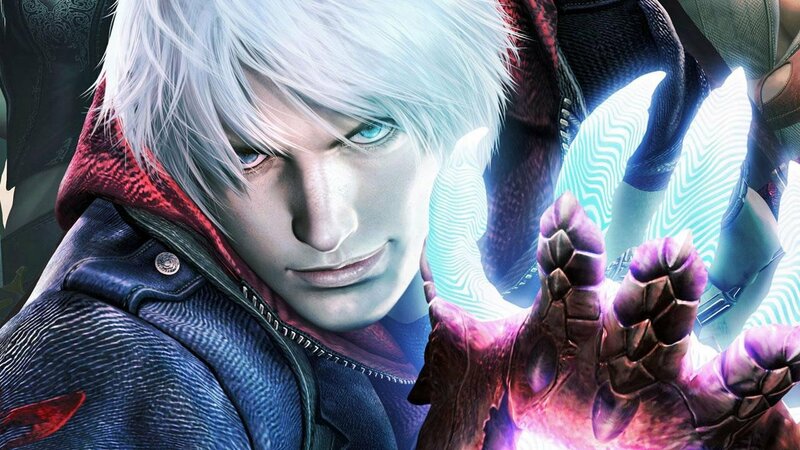 DMC4 was a game designed purely to latch onto the nostalgia of the series, but so laden with cliché, stereotypes, and redundant gameplay that it sinks under its own ponderous weight. It’s entirely focused on style over substance, with absurd amounts of game-jarring cinematic sequences that break the pacing up almost constantly. The story is as goofy and absurd as ever, of course, and for those who like that kind of thing (or preferred the old DMC games to the reboot), that’s probably a comfort. At the time, the combo-heavy gameplay felt fast and fluid (and to some extent that’s still true), but there’s no getting around the fact that the reboot improves the series in every way. The action here can be engaging, certainly, but definitely feels old. There’s an extreme overuse of the same minor bad guys, but the boss fights are still gorgeously over-the-top and extravagant. The main game places players as Nero and Dante, although only diehard fans will be able to really tell them apart. The combat focuses on gun and sword play, and mixing things up to get the most style points. When the game just sticks to its arena-style combat, it’s shallow, fast-paced fun. Most of DMC4 consists of locking you in rooms and flooding them with enemies. Finding ways to get massive style points is the main goal and the heavily cinematic nature means that combat looks great. Since this is yet another HD-revamp of an already HD game, DMC4 Special Edition is presented in full 60 fps 1080p and the effect is noticeable. The action is sharp and smooth, and it does look better than it ever has. The other major addition to this revamp is the roster of characters to play with. The game is made for Nero and Dante, but now you can plow through the same levels with periphery characters Vergil, Lady, and Trish. While each character gets their own intro, the rest of the game is the same as the main Nero/Dante campaign, only with most of the story cinematics stripped out. As it turns out, Trish and Lady are a lot more fun to use than any of the other characters in the series. Lady, in particular (who replaces Nero in the campaign) has a brilliantly fun rocket launcher and grapple that just annihilates enemies and completely revamps the pacing of the combat. The new characters add an extra layer of interest to the overall game, but the main problems with the pacing still remain. So much of DMC4 involves repetitive backtracking and combat that playing through the entire game as other characters isn’t quite as appealing as it could be. Level design is extremely linear, with minimal exploration. Though, if the repetitive nature of the design doesn’t bother you, the special edition also includes new turbo and Dark Knight modes that add harder challenges. 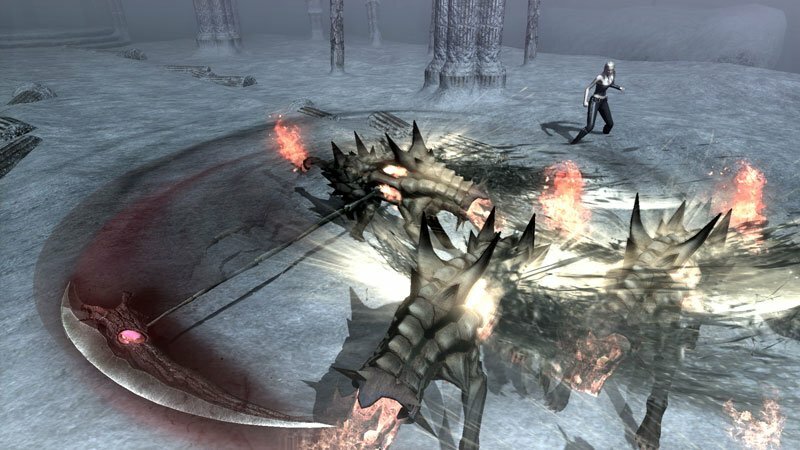 Like most of the games in the series, DMC4 relies on a fixed camera to enhance its cinematic play experience. In larger, more open areas, the camera is moveable with the right analog stick, which helps improve the viewpoint immensely, but large swaths of the game lock the camera down. 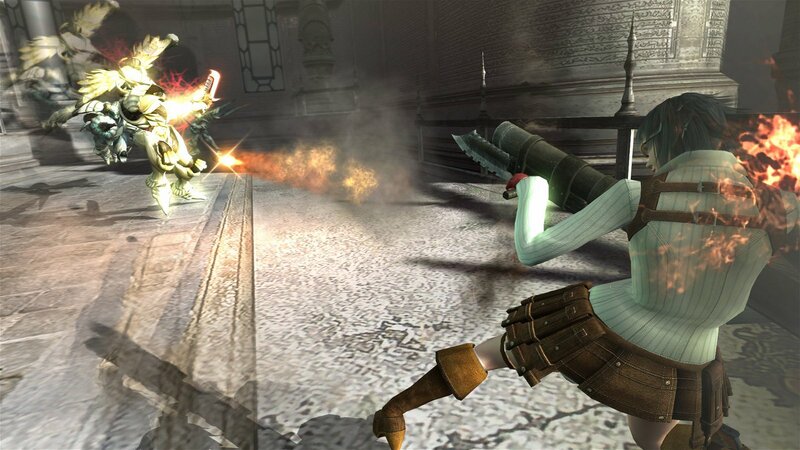 Even when released back in 2008, Devil May Cry 4 felt like a last gasp for the series. There are elements of greatness here—the bosses are exceptionally inspired and some of the level themes are great—but so much of DMC4 is antiquated. From the over reliance on jarring cinematic scenes and incredibly repetitive level design and action to the absurdly sexually fetishized female characters in the game, it feels like a game purely designed to pay lip service to diehard fans—at the expense of innovation or bringing in new gamers. 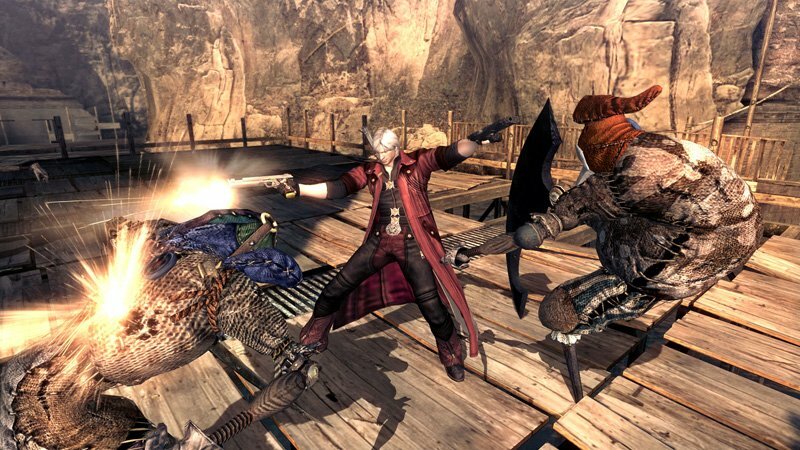 Given the relative success of the new-gen port of the rebooted DMC, Capcom is taking a chance on nostalgia with Devil May Cry 4 Special Edition.